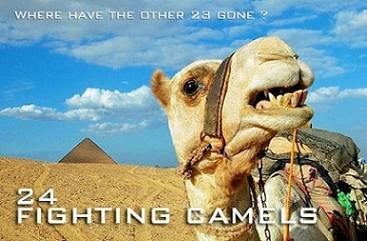 24 Fighting Camels are a five piece party and covers band that play all the songs you love to sing along to, or dance the night away. We play good music spanning the musical era from the sixties through to today. We love to sing as well as play. We are not noisy youths, but a more "mature" (aged 40's and 50s) group of boys (and one, sometimes two girls) of a certain age. Whether its dancing along to Bryan Adams - Summer of 69, A bit of rock and roll with the Rolling Stones, or singing along with tunes you know the words to, but perhaps have forgotten the song name. Its all good fun for us and we love a bit of audience participation. Dad dancing no problem! We don’t use backing tracks and all the fun is all 100% live. We can play in your pub, or at your event or party around the Thames Valley, Berkshire, Buckinghamshire, Hertfordshire, Hampshire, Oxfordshire and London areas, but do travel further a field as well when required. So if your party is in Reading, Henley, Slough, Maidenhead, Oxford, Woking, Bracknell, West London or any of the other towns in that part of the world, give us a call.